All students in grades One through Eight may participate in the annual Christmas pageant. This evening performance is a paraliturgical celebration featuring the school’s choir. The Kindergarten class performs its own version of the Christmas story. This annual event features the Three Kings, shepherds, a multitude of angels and a large assortment of animals including a donkey, camel and sheep. The Kindergartners all have a speaking role, and they sing many songs! The Eighth grade presents its annual Passion Play on Holy Thursday to all Saint James School students. 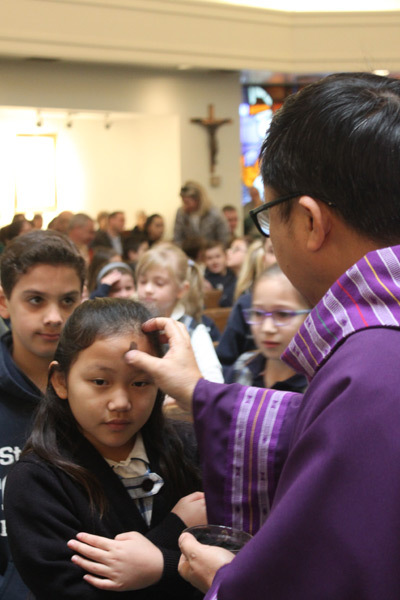 Throughout the year there are a variety of opportunities for students to learn about Catholic customs and traditions. Examples include the lighting of the Advent wreath, praying the rosary, Stations of the Cross and May crowning.